"No Ammonia" in Hair Color Means, What? Well, one more line in Hair Color, has sent me a notice stating they have produced a "non-ammonia" line of hair color. I know a lot of you may think, OMG - that is what I must look for. I want you to try to remember that any type of beauty product that is sold to you in 'words' and 'sayings' ... are fully tested before you ever see that product on TV or in print. So if 'ammonia' doesn't "TEST" well, they take it out of a product. Big companies like Matrix, Redken, L'Oreal are now advertising hair color claiming they are 'ammonia-free'... do you know what I think as a Colorist? Oh geez, not going near that one. Why? ? I have standards. and then any combinations of all them ! The only smell that may bother you while getting hair colored is when you combined powder bleach "with" developer....and that comes from mainly the powder bleach. 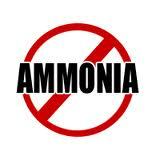 Developer has no scent, so I truly feel 'ammonia' gets a bad rap. Ammonia, technically "opens the cuticle". Opening the cuticle is how the hair color gets IN the hair strands. There are other chemicals that open the cuticle, although none of them worked as well as ammonia, so that is why ammonia has always been used, to be frank. That is why they were never used prior to today. So it is almost comical to me, that they are reverting back to the prior element used to opening the cuticle MEA. That and putting in ingredients to these new hair color lines so the scent will not be quite so offensive to people ( which is what will cure the main problem) SCENT. No one has produced a 'quality' line of hair color without ammonia and from my experience, people do not want to sacrifice one for the other. But, if you would like to try one of these new lines, I will be happy to carry them in a trial-phase type form. So in the testing faze you can order 1-2-3 tubes of any one of these new lines by writing the store with the line and the colors, and we will order them for you and if we find that many of you are interested in one of these lines, we will be happy to carry it for you ! is our email, so please - drop us a line with your request, it will take 1 week to get your color! 1 comment on ""No Ammonia" in Hair Color Means, What?" All comments are moderated. Please do not include: references to personal information, or any profane, inflammatory or copyrighted comments. We would appreciate it if we all stick to the subject of HAIR . Have a wonderful day. Join Killerstrands Blog - ANOTHER option 2 ! Developer, Developer.......: Which Hair Color Developer Shall We Use??? Step Out Of Your Comfort Zone !